Hi guys - it's my Birthday today! Our son and Coo went out last minute shopping so this meant I had the whole morning to myself! When they got back they brought Looby with them and...presents - wooo hooo! We had a cuppa while I opened them and for once all the hinting worked as Coo got me the smoothie maker I've had my eye on - result. Well, it was like old times, you know, when your kids are little and they get something new and everybody's got to have a go straight away? I had the smoothies going big style and we all tasted and tried with gusto! Lesson 2: in smoothie making - green 'aint a good colour choice! After all that, this afternoon we all went out to lunch! Happy Birthday!!!!! I have a great smoothie recipe. IT isn't green LOL! 1 cup orange jc., 1 cup milk,6oz.vannila favored yogart, 1 banana and some frozen fruit. Blueberries and strawberries are great. A handfull of each is what I like. I get big bags of frozen fruit at Sams wholesale club. They last forever. Happy birtyhday!!!!! 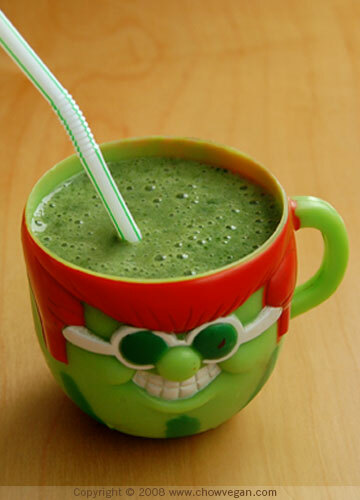 We got one of those smoothie machines a couple of years ago, and they're great fun. Marie & the kids mix all kinds of stuff together and I get to try the results. Not all of them are unpalatable! Happy Birthday Maz!!! hope you have a lovely day. I've been trying to have more green smoothies too, I have lovely one with coz lettuce, banana and mango yum! !